Want to be notified of new releases in SumitLubal/MovieHUB? This project is APP that shows current movie & TV listing in country Currently supports Us-EN and HINDI languages. Features - Lets you brows movies with category - Popular, Latest, All time hit, Top10, Highest grossing and much more. Search by genre - Drama, Action, Thriller, Science Fiction, Adult, War etx. Popular in your area. User rating and comments . Critic revies. Support two Open Database as of now. 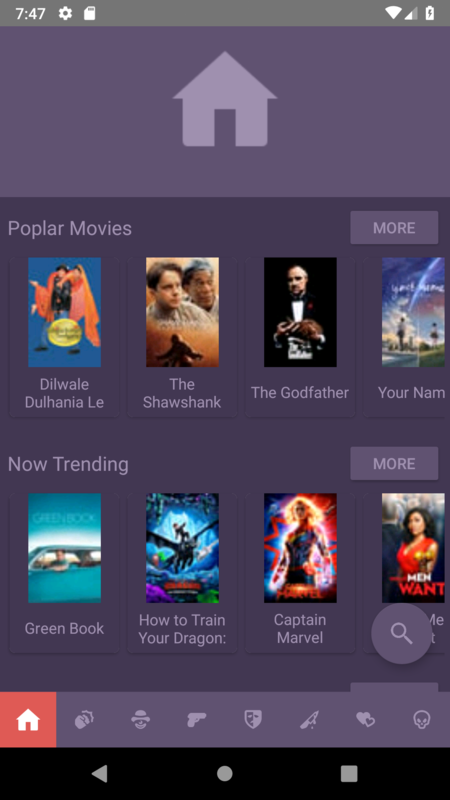 Suggests movies based on User likes and search behaivior Complete open source.